Although pursuing higher studies abroad is exciting and rewarding, it requires extensive preparation to manage culture shock and to adapt to new culture. Beliefs, customs, laws and attitudes of people are very different from the ones back in your home county. Culture shock can be more than a feeling of homesickness; it can often lead to symptoms such as frustration and confusion. For many students, culture shock motivates them to make the most of their experience. Learning how to deal with culture shock will make your Study Abroad experience a memorable one and will help you better prepare for your future plans. Studying abroad is a once in a lifetime experience that everyone should have. Although it may be overwhelming at first, pursuing your higher studies overseas will greatly benefit you. In addition to earning your degree, you will get the chance to explore all that the country has to offer. There are so many things you can do to make your time there more enjoyable. Language barriers are common when moving to a new country. However, learning the native language can be effective and will help you adjust to the culture quicker. If you're studying in a foreign country where English is not the native language, you can learn the language by either taking up a language class or by staying with a local family. This will help gradually you learn the language. Before moving to a new host country, it is important that you learn as much as possible about the country. There is more to culture than just the language. Reading books and write ups on the country will help you familiarize yourself with the culture and will also give you a better perspective on what to expect. Watching documentaries and browsing through travel blogs can also provide you with useful information. This will help manage cultural differences abroad. Being faced with different challenges can also trigger a culture shock. You will find yourself comparing every situation that you face in your host country with the situation back home. However, it is important that you keep an open mind and solve the problems the best way you can. Studying in a new country can be difficult for any student. However, universities have many campus activities and clubs that you can be a part of. It could be a sport or a book club meeting. Getting involved in these activities will help you find students with similar interests and you will make new friends in no time. One of the most exciting part about studying in a foreign country is the different people you'll get the chance to meet. While studying abroad, make a list of things you want to do and see, this way you will be able to visit many new and exciting places. Try out the local food, explore the culture and just have fun. It's also great to have a good group of friends with whom you can hang out and explore the city you're living in. The friends you make during your study abroad experience will stay with you for the rest of your life. If you are not used to doing things on your own such as washing clothes, cooking and cleaning, studying abroad will teach you a thing or two. This is the perfect opportunity for you to do things by yourself. By learning to cook your favourite meals, you will be able to easily cook them in your host country and be reminded of home. One of the aspects that is hardly ever considered when studying abroad is the change in climate from your own country. You will experience a different climate than what you are otherwise used to back home. Make sure you research the weather so you are prepared for what to expect. You may also need to adjust your wardrobe in accordance to your new surroundings. The international office support assists international students find accommodation, provides suggestions for tuition fee plans and guides them on part time work opportunities. If you feel you need help, you can always visit the international support office of your University in your host country. What Edwise Students Studying Abroad Says. "I am very thankful to Edwise for making it all possible for me. I was thoroughly guided me on what to expect when traveling to my destination country. The pre-departure event hosted by Edwise was informative and I suggest that this programme be continued. The information provided was very valuable." "I didn't know what to expect when pursuing my higher studies in a different country. However, the pre departure seminar that Edwise organised put things into perspective for me. I am now more confident and eager than ever to pursue my higher studies overseas." We at Edwise streamline and personalize the process for each student irrespective of the destination, institution, course or any level of study. Our team of experienced professionals will provide you individual attention and exceptional guidance throughout your process of application. We provide assistance related to course selections, admission, visa, bank-loan and scholarships. We also host University delegates for direct student interaction and all these services are provided free of cost. We have established since 1991 and have been maintaining strong networks with over 725 universities in 16 countries, hence giving us a unique insight into the finest educational establishments worldwide. 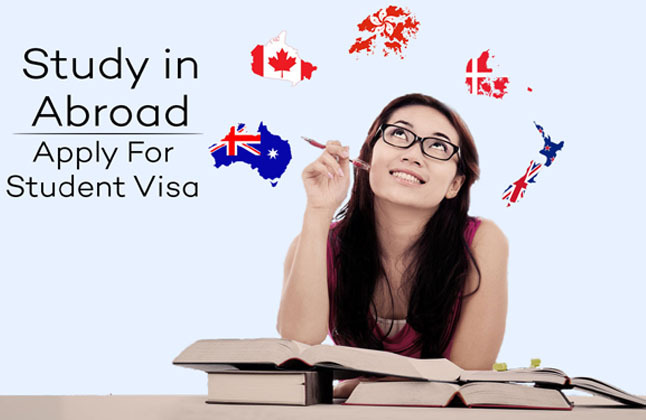 Start your education overseas with valuable information on everything you need to know about studying abroad from study permits, temporary resident visas and how much it costs, to finding the best suited program for you. Do visit your nearest Edwise branch & choose your university carefully under our expert guidance and ensure that you have all your paperwork in order. Once you apply, and the wait is over, you can really begin to look forward to not only studying in a beautiful and vibrant country, but also to a life experience quite like no other. Back to All "Study Abroad / Overseas Education Articles, Resources, Tips and Tricks"
For complete information of Study Abroad Programs Contact Edwise International- Overseas Education Consultants, on 1-800-200-3678 (Toll Free) / 08600911333.